Slavery is one of the oldest trades known to man. We can first find records of the slave trade dating back to The Code of Hammurabi in Babylon in the 18th century BCE. People from virtually every major culture, civilization, and religious background have made slaves of their own and enslaved other peoples. However, comparatively little attention has been given to the prolific slave trade that was carried out by pirates, or corsairs, along the Barbary coast. Anyone traveling in the Mediterranean at the time faced the real prospect of being captured by the Corsairs and taken to Barbary Coast cities and being sold as slaves. The Barbary slave trade (White Slave trade) flourished on the Barbary Coast of North Africa between the 15th and 19th centuries. This area is modern-day Morocco, Algeria, Tunisia, and western Libya. European slaves were captured by Barbary pirates in raids on ships and coastal towns from Italy to Spain, Portugal, France, England, the Netherlands, Ireland and Iceland. Men, women, and children were captured, to such a devastating extent that vast numbers of seacoast towns were abandoned. During the 13th and 14th centuries, Christian pirates, primarily from Catalonia and Sicily posed a constant threat to merchants. 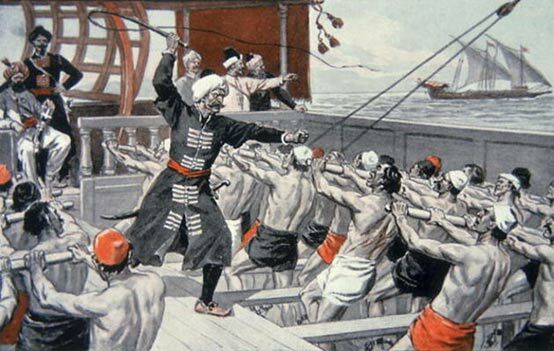 But the Barbary corsairs became menaces with the expansion of the Ottoman Empire in the 15th century. Slaves in Barbary could be black, brown or white, Catholic, Protestant, Orthodox, Jewish or Muslim. And the corsairs were not only Muslim, there were English privateers and Dutch captains. Many slaves died on the ships during the long voyage back to North Africa due to disease or lack of food and water. Those who survived were taken to slave markets where they would stand for hours while buyers inspected them before they were sold at auction. Men were assigned to hard manual labor in quarries or for heavy construction, while women were used for housework or in sexual servitude. At night the slaves were put into prisons called ‘bagnios’ that were often hot and overcrowded. The worst fate for a Barbary slave was being assigned to man the oars of galleys. Rowers were shackled where they sat, and never allowed to leave. Sleeping, eating, defecation and urination took place at the seat. Overseers would crack the whip over the bare backs of any slaves considered not to be working hard enough. Europeans sometimes attempted to buy their people out of slavery, but no real system emerged before around 1640. Corsair activity began to diminish in the latter part of the 17th century, as the more powerful European navies forced pirates to cease attacking their shipping. In the 19th century, the United States of America and some European nations began to fight back more fervently against the Barbary pirates. Algiers was frequently bombarded by the French, Spanish and Americans. After an Anglo-Dutch raid in 1816 on Algiers, the corsairs were forced to agree to terms which included a cessation of the practice of enslaving Christians, although slave trading of non-Europeans was allowed to continue. The notion that slavery is or was an attrition of humanity remains a subject matter that is moot to different scholars. Indeed the term ‘slavery’ has and still is a word that connotes deep resentment for many as it conjures a picture of tortuous pain and suffering against the refusal of those enslaved to wishes forced upon them. In the period of the Barbary trade, people were captured and forced to work and were made to suffer inhumane circumstances. Muslims, Africans as well as other mercenaries were involved in this business It was purely economic by those involved and not always attached to a racist umbilical cord. Indeed many of the great cities, monuments and wonders of the world were built by’ slave labor’. And not all ‘slaves’ were treated inhumanely either. Regardless of which side of the spectrum you stand, restricting freedom, forcing labor, working under inhumane conditions and declaring that you ‘own’ a person just by the very nature of ‘buying’ them as you would a pound of meat, is wrong. Similarly employing persons under similar conditions is equally wrong, no matter how much you try and cloak it with so called ‘incentives’. This article attempted to show that slavery did not start with or end in Africa. Indeed slavery is as old as humanity. Denying persons of their humanity is denying the person’s existence. The dogma that drives humanity to slavery is a tumor that is still very much malignant. There are treatments but it rears its ugly head frequently. Historians highlight what they deem necessary but knowing our history will make us aware of both the past and that history always has a way of repeating itself. 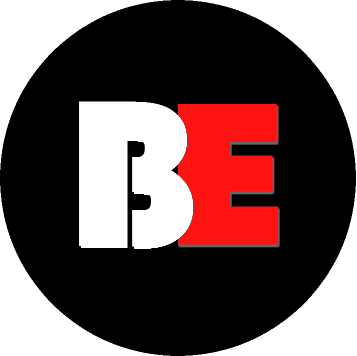 It is for us to monitor, check, account and evade. Today we draw attention to the tragic news that 18 babies died as a result of infections at the place of their birth- the Hospitals. The alarming thing about this is not just the deaths, but the callous and cold approach of both parties to this news. A country that cannot take care of its most vulnerable is not a country, but can be compared to a barbaric animal. 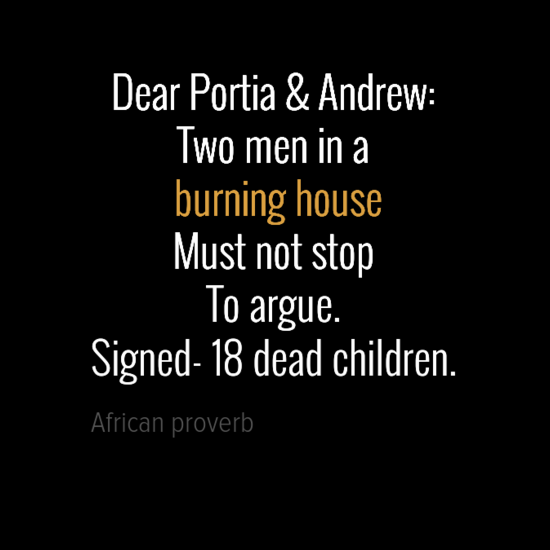 The public discourse of both Andrew and Portia is just that , two animals barking at each other to see who can get the dead bone. There is also accountability Madam PM and Opposition leader. Someone must be held accountable as in the end an institution is run by people and it is the people , not an institution that took the professional oath to deliver the very best medical service to its customers. If you both allow this tragedy to go unpunished, then frankly you are both not governing this country. In fact you are both aiding in killing this country. 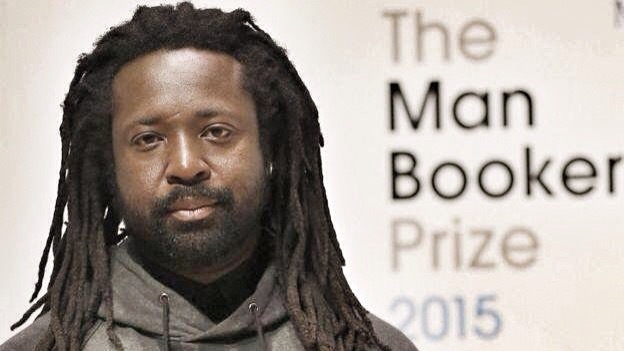 FIRST JAMAICAN AUTHOR TO WIN MAN BOOKER PRIZE OF £50,000. The 680-page epic was “full of surprises” as well as being “very violent” and “full of swearing”. James was announced the £50,000 winner on Tuesday night at London’s Guildhall. He is the first Jamaican author to win the Man Booker Prize. Receiving the award, he said a huge part of the novel had been inspired by reggae music. Set across three decades, the novel uses the true story of the attempt on the life of reggae star Marley to explore the turbulent world of Jamaican gangs and politics. Wood said the judges had come to a unanimous decision in less than two hours. He said: “One of the pleasures of reading it is that you turn the page and you’re not quite sure who the next narrator will be.” But he acknowledged that some of the content might be too much for some readers. “Someone said to me they like to give Booker winners to their mother to read, but this might be a little difficult.” Wood admitted his own mother wouldn’t have got beyond the first few pages on the basis of the swearing. IS CRIME PREVENTING SOME JAMAICANS FROM RETURNING HOME? 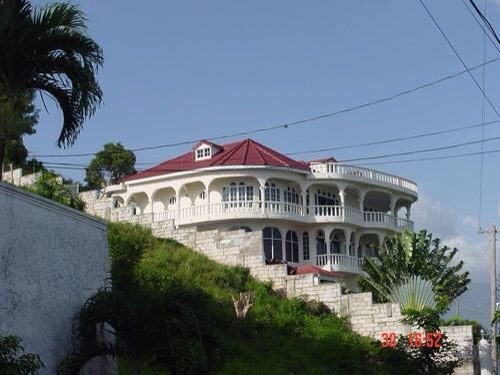 Many of us Jamaicans who live in Diaspora plan to one day, return home to Jamaica, either buy or build our “dream homes” and settle down to a more peaceful lifestyle. But is nostalgia enough to ignore the reality of the high crime rate back home? In 2014, a 75-year-old returned resident, Robert Campbell was shot near his two-storey home in St Elizabeth. Campbell had returned to Jamaica in late 1990s after spending approximately 50 years working in the USA. In 2010, in Comfort Castle, Portland, 84-year-old George Passley, a retired bus conductor from the UK died in a house fire. Eight days later, Mavis White, an 80-year-old widow who also returned from Britain, died in a house fire a mile from Mr. Passley’s. In 2009, 55-year-old Anthony Budal was brutally murdered in Lucky Hill, St Mary, shot nine times, several days before he was due to return to the UK. Since her husband’s death, Audrey from South London, said she has searched for answers, but all her efforts have failed – despite having spent thousands of pounds travelling back and forth to Jamaica. She is critical of the police’s handling of the investigation, which has left her disheartened. “I will go through all the necessary channels and avenues to get justice, and ensure that my husband is not dealt with like a piece of meat,” said Budal, who has set up a fund in her late husband’s honour. In 2009, 1,170 returning residents, mostly retirees settled back in Jamaica.Back in 1994, almost 2,600 retired Jamaicans returned home. The number of returnees dropped more than half by the early 2000s. It has remained relatively flat every since, even though the number of Jamaicans at retirement age abroad has risen substantially. About two million Jamaicans live abroad, nearly as many as the 2.7 million who live on the island. Robert DeSouza is a Jamaican immigrant whose Trans-Continental Express Shippers of Queens, N.Y., specializes in moving Jamaicans. He handles about 50 moves to Jamaica a year, he says, down from over 200 a year in the 1990s. The robbers are “targeting returned residents,” Mr. DeSouza says. Another threat to returning residents: Distant relatives, barely known to retirees, sometimes see returned residents as bank accounts to tap. Ethlyn Hyman-Dixon, a 69-year-old returnee from England, was stabbed to death in 2008 by a nephew. Boxer Trevor Berbick, the last man to beat Muhammad Ali in the ring, was hacked to death in Portland by a nephew, later convicted of the murder. Mr. Berbick was 54. Percival LaTouche, president of the Association of Resettlement of Returning Residents (ARRR), states that that returning residents are ostensibly marked for death; as many as 300 have been murdered in little more than a decade. And hundreds are robbed on their way from the airports, but not all of them report these incidents to the Police, he said. The Jamaican police are only able to make arrests in 45 percent of all homicides annually, and they only convict perpetrators in seven percent of the homicide cases. This leads both the public and police to doubt the effectiveness of the criminal justice system leading to vigilantism, which only exacerbates the cycle of violence. Based on their past experiences, most civilians fear that at best, the authorities cannot protect them from organized criminal elements, and at worst, are colluding with criminals, leading citizens to avoid giving evidence or witness testimonies. With this backdrop, do Jamaicans living abroad prefer to “stay put” in the cold? This article was taken from Uhuru Solidarity Movement, and it debunks the white washed argument that Africans were guilty of slavery more so than their oppressors. Great read and please make your comments and feel free to share. 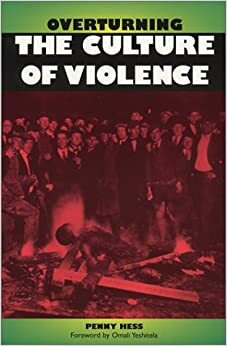 EDITOR’S NOTE: The following except from pages 47-50 of Overturning the Culture of Violence, written by Penny Hess, Chairwoman of the African People’s Solidarity Committee and printed by Burning Spear Publications, debunks the cynical and anti-black argument that “Africans enslaved themselves.” This argument points to the presence of Africans who collaborated with the European slave masters and “sold” Africans to them in order to shift the responsibility for the slave trade off the shoulders of the European colonial slave master and onto the backs of the colonized and enslaved African. Africans who survived the notoriously brutal middle passage, as the Atlantic crossing was known, reached the Americas barely alive. If they were too ill, they were left to die on the shore. They were sold like animals on public auction blocks, naked or in rags, weakened and emaciated, having survived the months below deck with disease and malnutrition, not to mention the emotional ravage of such an experience. Many Africans committed suicide to avoid enslavement, a practice otherwise unknown in African culture. THE UNSUNG HERO OF THE 1968 OLYMPIC GAMES…..
Peter George Norman (pictured left) was an Australian track athlete best known for winning the silver medal in the 200 metres at the 1968 Summer Olympics in Mexico City. His time of 20.06 seconds still stands as the Australian 200 metres record. He is also known for his support of John Carlos and Tommie Smith when they made their famous raised-fist gesture at the 1968 Olympics medal ceremony. On the podium, during the playing of “The Star-Spangled Banner”, Smith and Carlos famously joined in a Black Power salute. Norman wore a badge on the podium in support of the Olympic Project for Human Rights (OPHR). Australia’s Olympic authorities reprimanded him for his gesture and the Australian media ostracised him. Despite Norman running qualifying times for the 100 m five times and 200 m 13 times during 1971-72, the Australian Olympic track team did not send him, or any other male sprinters, to the 1972 Summer Olympics in Munich, the first modern Olympics since 1896 where no Australian sprinters participated. Norman kept running, but in 1985 contracted gangrene after tearing his Achilles tendon during a charity race, which nearly led to his leg being amputated. Depression, heavy drinking and pain killer addiction followed. Norman quit athletics after the decision not to field a track & field men’s team in the 1972 Olympics and took up Australian rules football. He died of a heart attack on 3 October 2006 in Melbourne at the age of 64. 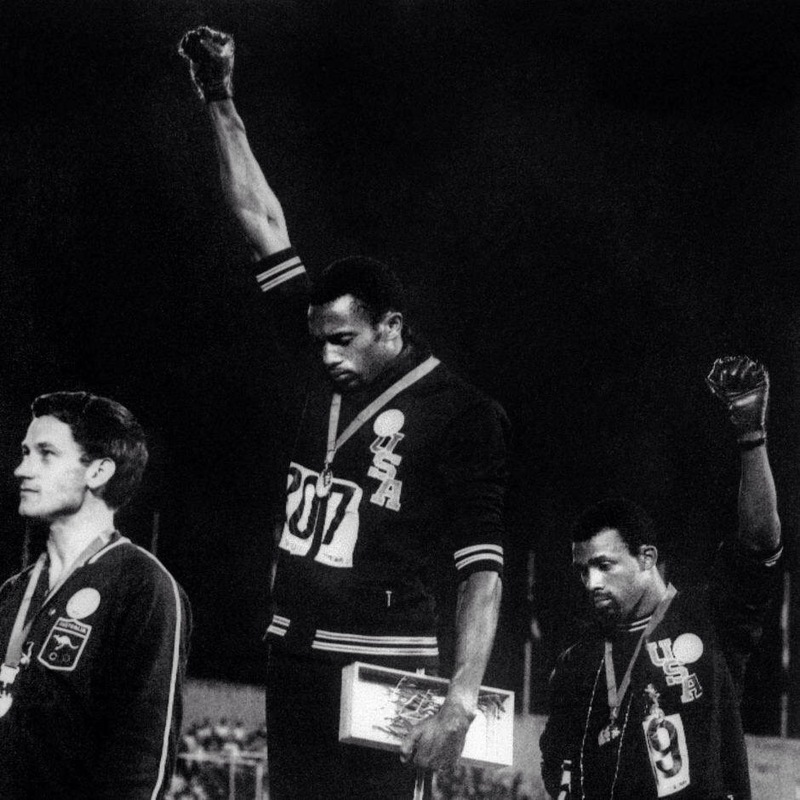 US Track and Field Federationproclaimed 9 October 2006, the date of his funeral, as Peter Norman Day. Thirty-eight years after the three made history, both Smith and Carlos gave eulogies and were pallbearers at Norman’s funeral. An airbrush mural of the trio on podium was painted in 2000 in the inner-city suburb of Newtown in Sydney. The monochrome tribute, captioned “THREE PROUD PEOPLE MEXICO 68,” was under threat of demolition in 2010 to make way for a rail tunnel but is now listed as an item of heritage significance. 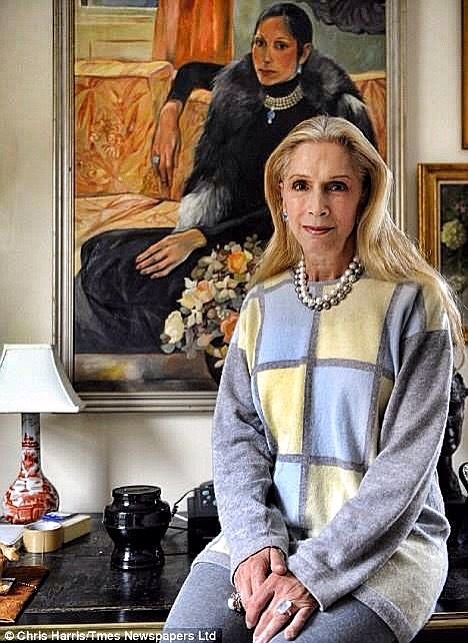 Lady Colin Campbell, known as Georgie Campbell (17 August 1949), is a Jamaican-born British writer. Campbell was born in Jamaica, one of four children of Michael and Gloria Ziadie. The Ziadie family are descendants of six Maronite Catholic brothers who emigrated from Lebanon in the early 20th century. The family were Lebanese Eastern Orthodox Christians. Born with a fused labia, Campbell was registered as a boy and brought up as male, though she is genetically female. She was bullied by classmates and her parents. She sought help at age 13 by secretly contacting her mother’s gynecologist, who was sympathetic. When her parents discovered what she had done, they had her hospitalised, and injected with male hormones for three weeks. Campbell refused to live as a boy; and her father told her the only solution was for her to commit suicide by taking rat poison. She was not able to have corrective surgery until she was 21, when her grandmother discovered what had occurred and gave her the $5,000 she needed. Campbell legally changed her name to Georgia Arianna and received a new birth certificate. Campbell is well-known for her books on royals, including biographies on Diana, Princess of Wales and Queen Elizabeth, the Queen Mother. Her 1992 book, Diana in Private: The Princess Nobody Knows, detailed information about the Diana’s struggle with bulimia and affair with James Hewitt. Campbell was “dismissed as a fantasist” but later vindicated when the information was corroborated. Diana in Private appeared on the The New York Times Best Seller list in 1992. “ I am grateful to my mother for some things. Her malevolent neglect meant that we learned how to be independent, and we all learned how to be very in tune with reality. We had to be – it was our only way of surviving. The other good thing was that, through her, I learned how to fight. People muck you around in life, and Gloria taught me to never give up,” she said.